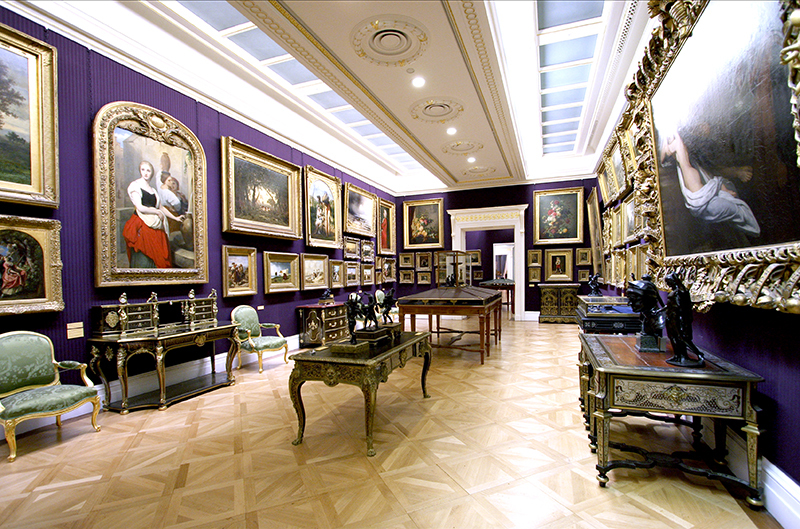 The Wallace Collection is a delightful gallery tucked away behind the bustling shopping district around Oxford Street. The gallery is housed in the London townhouse of Sir Richard and Lady Wallace, which was bequeathed to the British nation in 1897 and opened as a public museum in 1900. Interestingly, the gallery is a closed collection – meaning that nothing can be added or taken away. The collection features paintings, porcelain, furniture, princely arms and armour as collected by the first four Marquesses of Hertford and Sir Richard Wallace. Perched on the north bank of the river by Pimlico in west London, the Tate Britain gallery houses the national collection of British art from 1500 until the present day. The Grade II listed building sits on the site of the former Millbank penitentiary, which was demolished in 1890 and chosen as the location for the new National Gallery of British Art in 1892. The current building was designed by Sidney R J Smith and opened to the public in 1897. Since then, the gallery has grown to become home to international modern and contemporary art, too. Nestled behind the National Gallery on Trafalgar Square, the National Portrait Gallery was never meant to be about art. It was established to be about the history of the British people and the status of the sitter. This criterion is still used when judging whether a piece of work should join the collection; the Chandos portrait of William Shakespeare was the first portrait to be received. The gallery moved without a permanent home for the first 40 years of its existence before it took its permanent home on St Martin’s Place in 1896. The gallery hosts the annual BP Portrait Prize competition. The Duchess of Cambridge is the gallery’s patron. 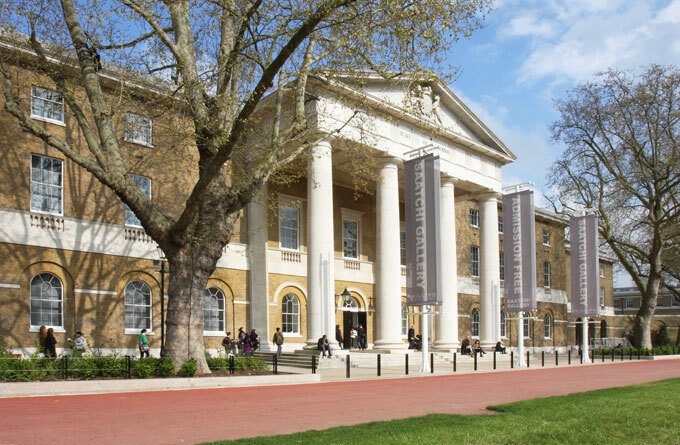 The Saatchi Gallery was opened by art collector Charles Saatchi in 1985. It began life in north London before moving to the Southbank and finally settling in Chelsea where it stands today. The gallery proudly acts as a springboard for many new artists by exhibiting artists unknown to both the public and the art world. 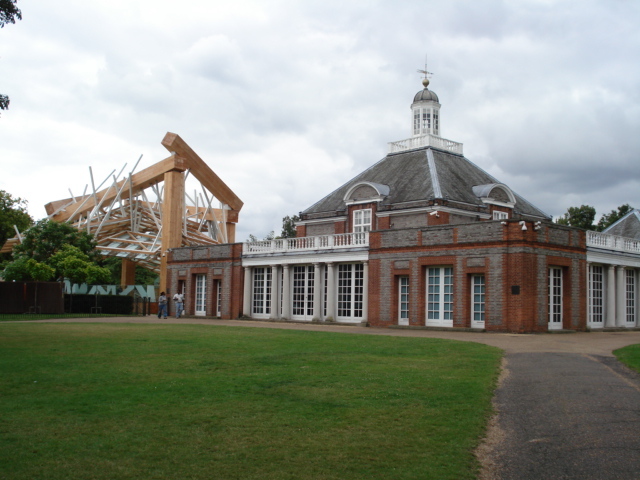 The Serpentine Galleries – originally built as a tearoom in 1934 – are located in the heart of Kensington Gardens. 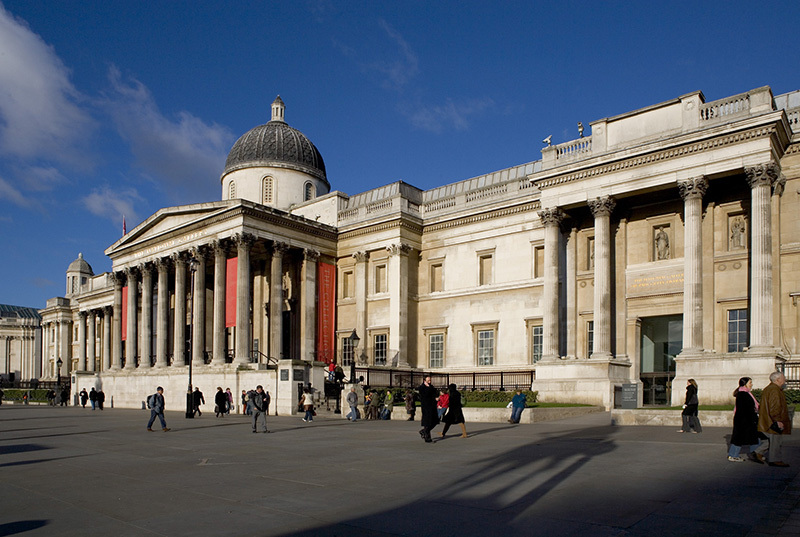 Opened in 1970, the galleries have exhibited works from prolific artists such as Henry Moore, Andy Warhol and Damien Hirst. In 2013 the Serpentine Sackler Gallery opened in a former gunpowder store built in 1805. The free galleries are popular with lovers of modern and contemporary art. Each summer architects enter a competition to design the galleries’ temporary exhibition pavilion – usually a playful, eye-catching structure that attracts the crowds. 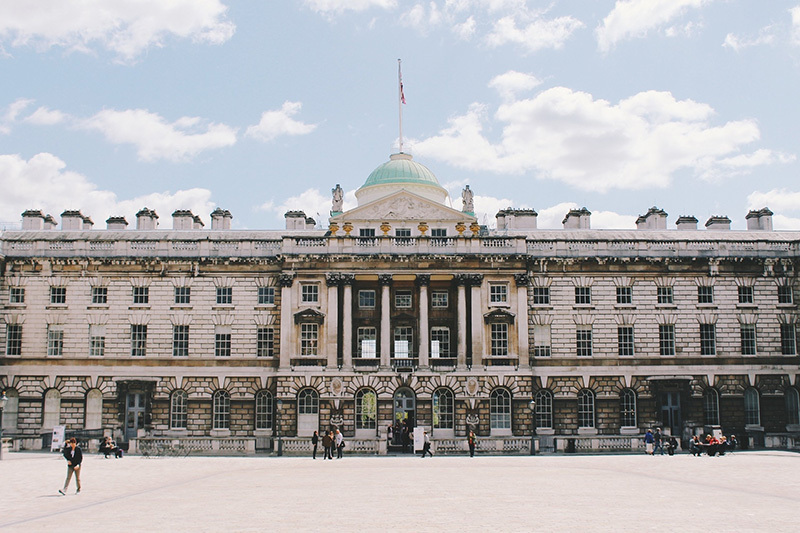 The creative art and cultural space of Somerset House is a beautiful neo-classical building on the Strand in London. It has a strong focus on the visual arts and is home to the Courtauld Institute of Art as well as several stunning temporary exhibitions each year. The house itself was built in 1547 for the Duke of Somerset, Edward Seymour, on the banks of the Thames – a popular location for London residences or those seeking influence at Westminster Court. The Whitechapel Gallery, near the famous Brick Lane in east London, was founded in 1901 and was one of the first publicly funded galleries for temporary exhibitions in London. 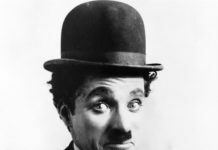 It was created to bring ’great art to the people of the East End of London’. It is housed in a beautifully restored building, designed by English architect Charles Harrison Townsend, who also designed the Bishopsgate Institute and the Horniman Museum. The gallery famously displayed Pablo Picasso’s Guernica in 1939 on its first and only visit to Britain. The gallery has premiered international artists while showcasing the talents of emerging local artists. 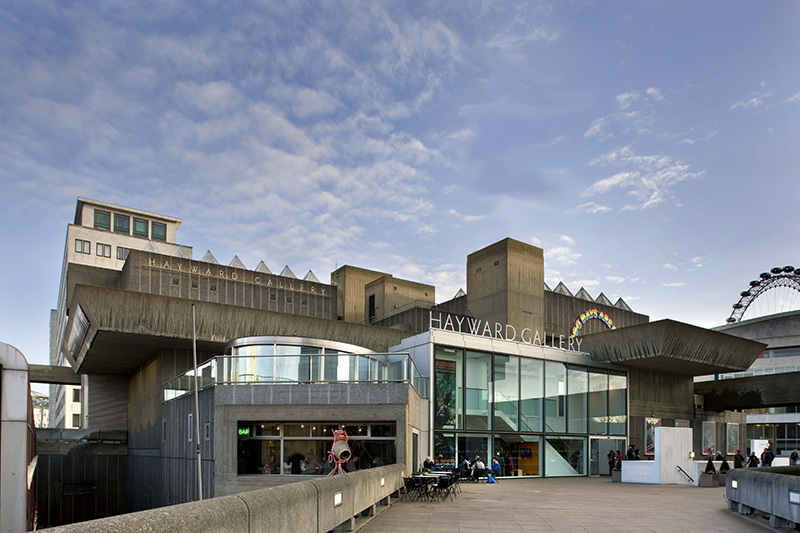 Situated on the artistic Southbank, the Hayward Gallery is a fine example of the Brutalist architecture of the 1960s. It was designed by a collective of young architects, Dennis Crompton, Warren Chalk and Ron Herron, who were the main members of the avant-garde architectural group from the 1960s, Archigram. The gallery does not hold any permanent exhibitions but hosts three or four temporary exhibitions each year. Standing tall over Trafalgar Square, the National Gallery is home to a collection of paintings from the 13th century up until 1900. The gallery was created in 1824 when the government decided to purchase the collection of paintings from banker, John Julius Angerstein. 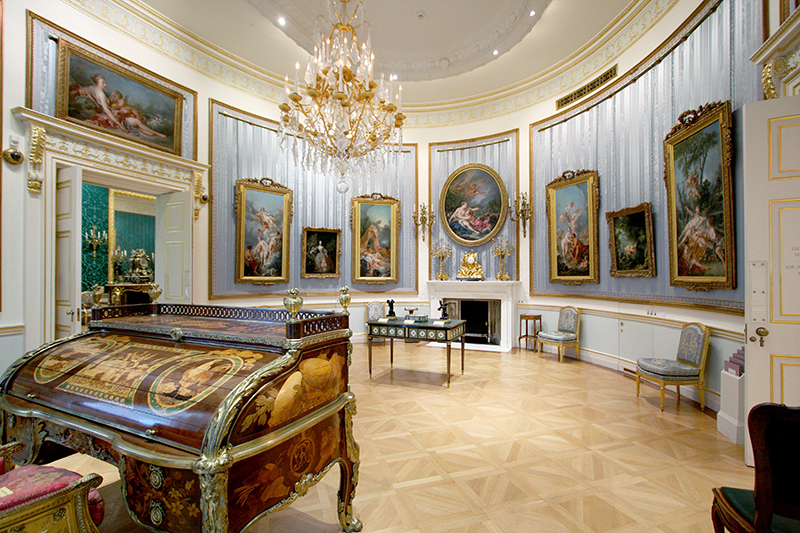 They were kept at Angerstein’s Pall Mall house until the gallery was constructed and opened to the public in 1838. The central location of Trafalgar Square was decided as it was easily accessible for all and so all classes of society could enjoy the collection of paintings. The building was designed by architect William Wilkins and stands on the site of the former Kings Mews.